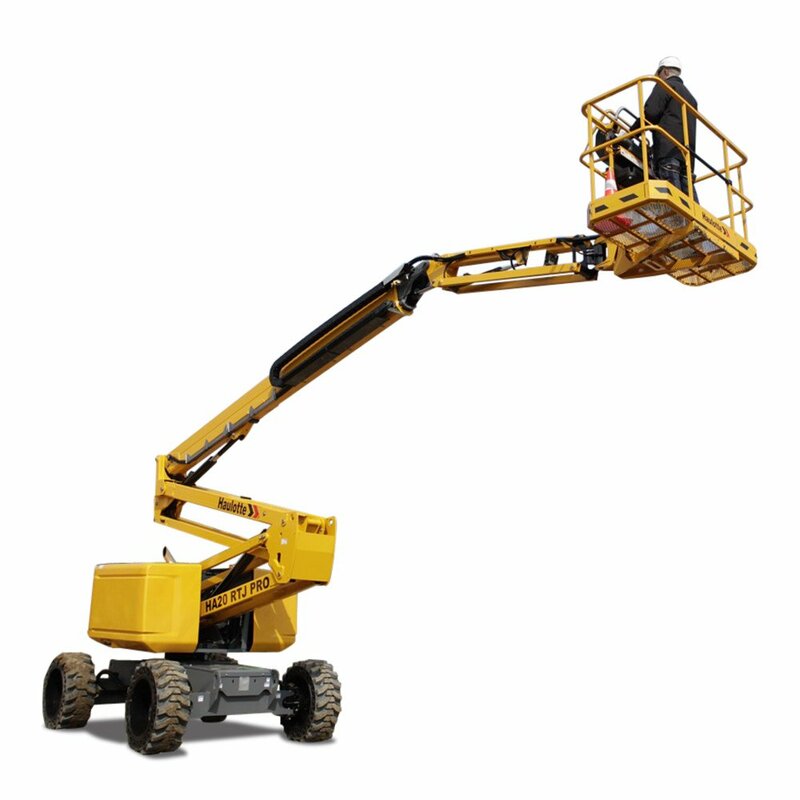 Diesel articulating boom lifts are ideal for access work outdoors. 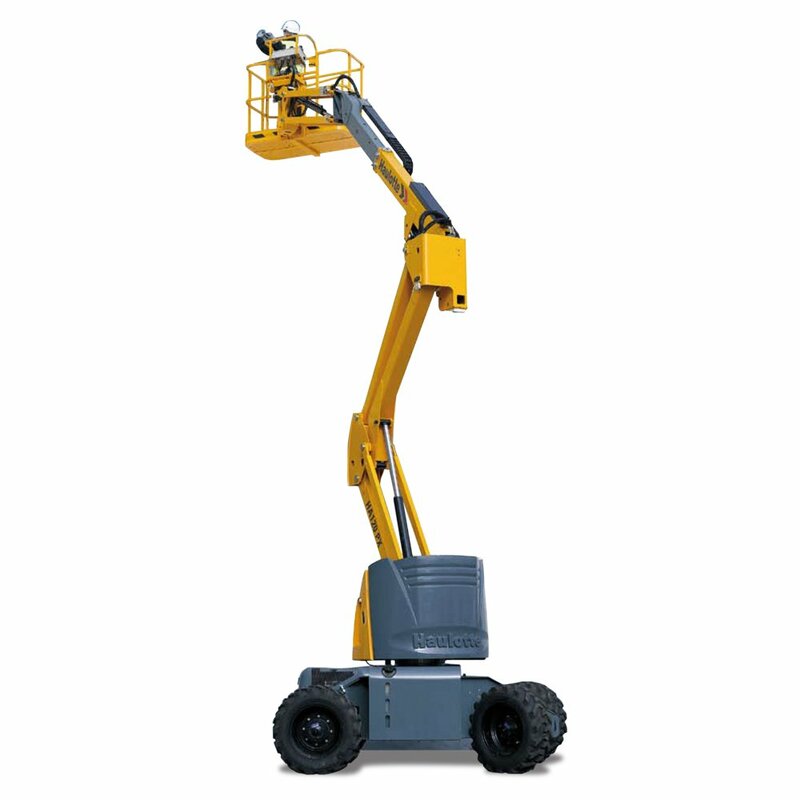 These boom lifts offer outstanding rough terrain capabilities with excellent ground clearance and 4-wheel drive and steer. Hydraulic differential lock and oscillating tyres further improve traction when working on rough terrain like construction sites. 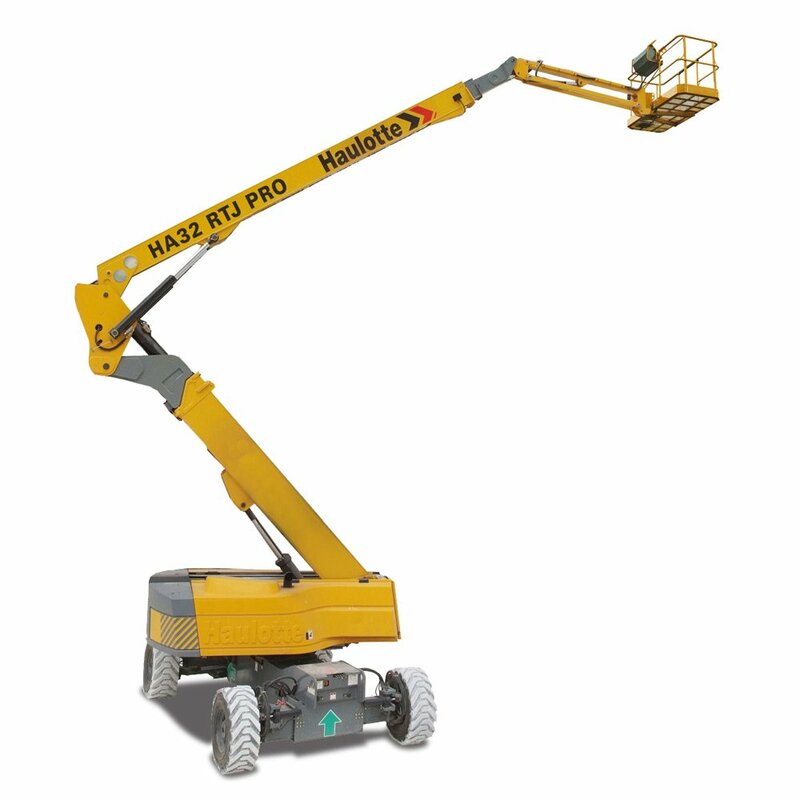 Comfortable and full proportional controls offer simultaneous movements with excellent positioning. 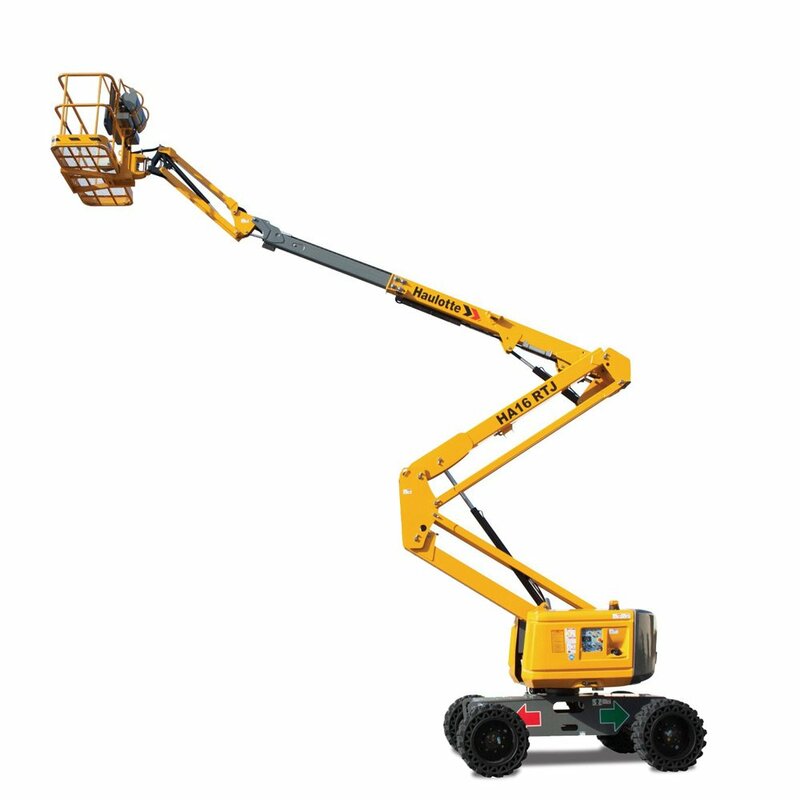 With working heights from 12 to 41 metres, Haulotte diesel articulating boom lifts offer some of the best working envelopes in the industry. 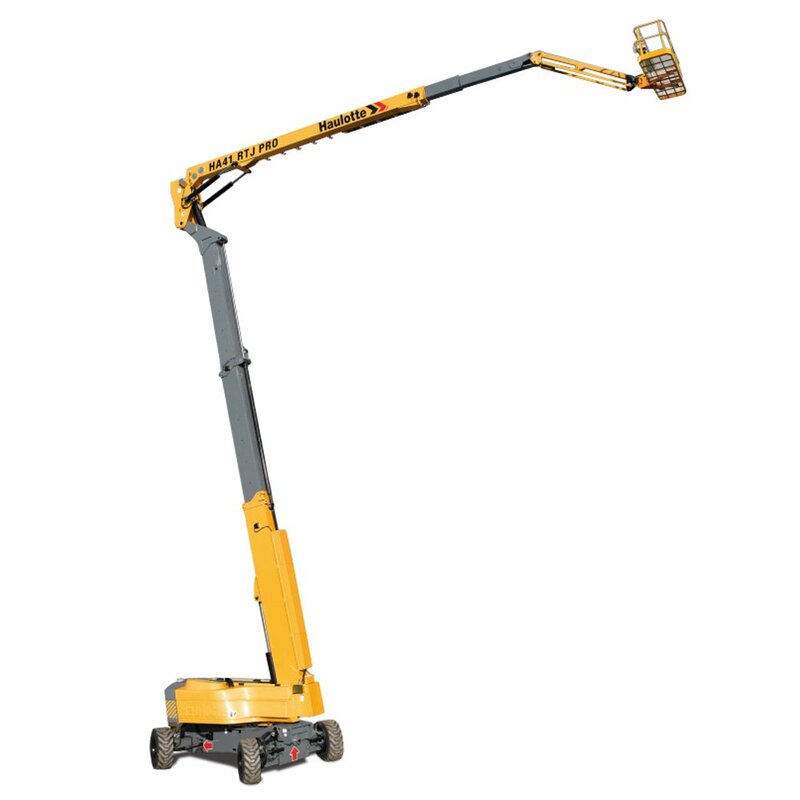 This includes excellent up and over clearances with horizontal outreach up to 21 metres. 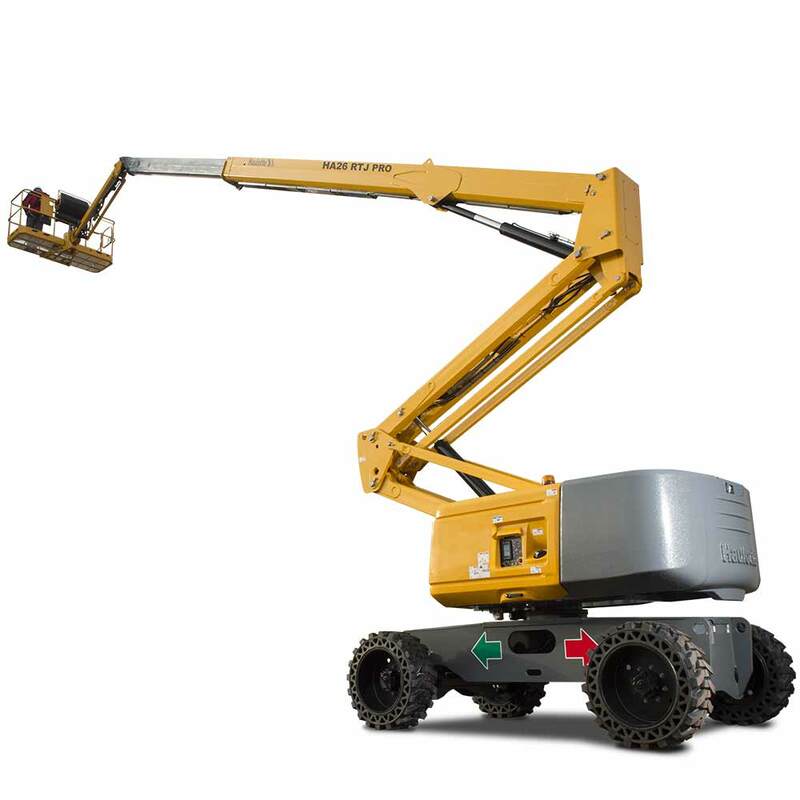 Quick lifting speeds also improve operator productivity. 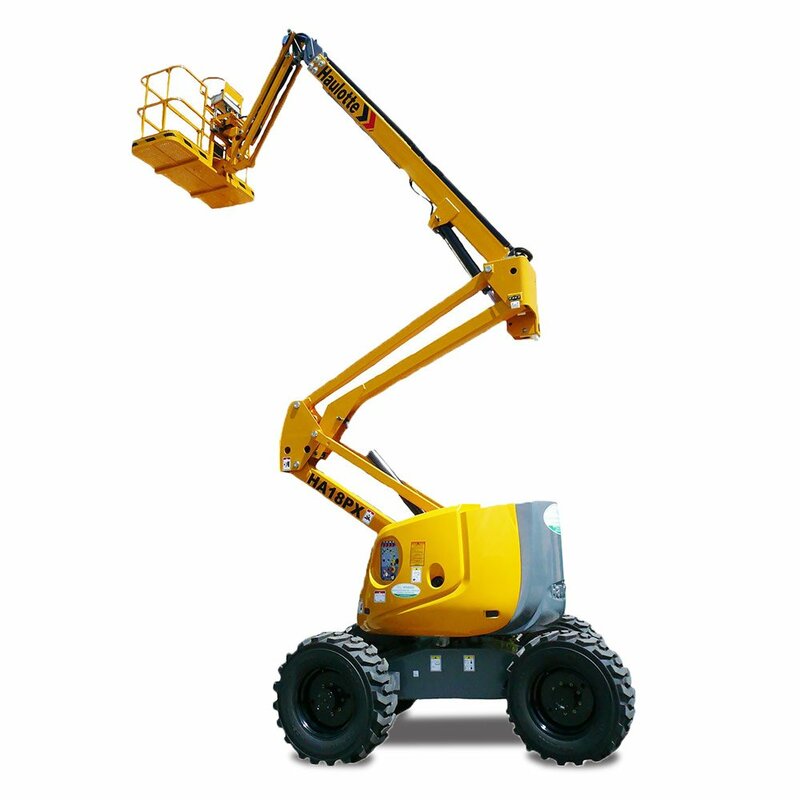 These articulating diesel boom lifts include a range of safety features including an anti-crush bar to protect operators onsite. Other features include self-diagnosis display, tilt and load alerts, rotating beacon and more. Ideal for all terrain environments, these booms are highly suited to a diverse range of applications including construction, maintenance, installation and pruning.